Grandfather Verdon Frailey founded the Frailey Insurance Agency in 1937 and today his twin grandchildren, Michael Frailey and Michel A. Frailey-Miller, continue to live by Verdon’s motto “Real people, Real Service.” Michael, Chief Executive Officer, is the face of the agency. His twin sister, Michelle, acts as the Chief Operations Officer. Together they are a synergistic team bringing out the best in each other. Verdon’s son John guided the professional firm for 46 years growing Frailey Insurance and Financial Services into one of Nationwide Insurance Company’s largest agencies and earning the Hall of Fame designation. More than 80 years in business, Michael and Michele, along with an award-winning team, continue serving others by securing their insurance needs. Frailey’s mission is to add and engage members in lifelong relationships by developing personalized insurance and financial programs that maximize value and adequately protect what matters most! We do this through personal reviews, proactive member contact, value-added educational workshops, and great products from our insurance carrier partners. Frailey Insurance and Financial Services is successful by employing the basic tenets of faith and servant leadership in our everyday client-member interactions. We always place our client-member needs and interests first and do what is best for you. We serve the Pocono Mountains and surrounding region as well as clients throughout Pennsylvania, New Jersey, New York, Connecticut and Maryland. 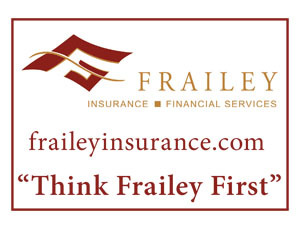 Frailey Insurance and Financial Services takes the time to understand you and your needs. Your family is unique, and your insurance protection should be too. We have cutting-edge solutions from industry leading insurance companies. We’re well known for insuring cars, homes and businesses. Lesser known specialties are powersports, rental units, collections/collectibles and coverage for single-day events. We are a recognized and award-winning financial services firm. We help our members with college planning, retirement plans, and even the unexpected loss through life insurance. We welcome your call, text, or email and look forward to serving you as our newest member soon.